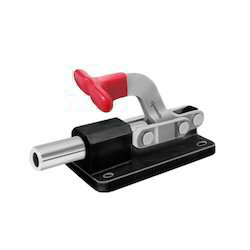 Manufacturer of a wide range of products which include flange base toggle clamp, block base toggle clamps, tc-ps series horizontal straight base toggle clamp, tc-ps series horizontal toggle clamps, tc lh series horizontal toggle clamps and tc-lh series toggle clamps. 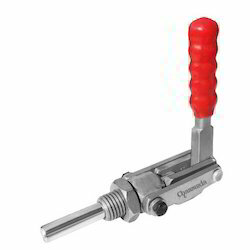 Chamunda's horizontal toggle clamp is a low profile, fast, push/ pull and straight line plunger action clamps. Accurately machine-reamed baring surface. Plunger are hardened, ground & Nicle crome plated. Plunger tip is drilled and tapped for adjustment spindle. 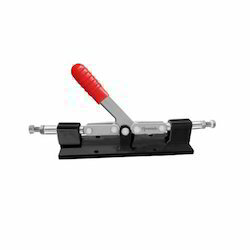 This series has a plate base for drilling and bolting into work position. 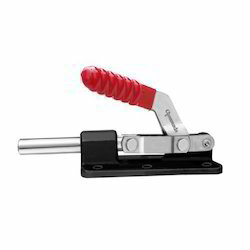 Chamunda's Block base Clamp also ideal where mounting space limited. 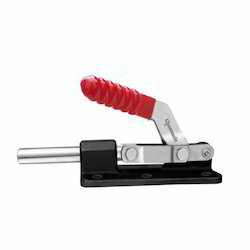 It can be weld or bolting as desired. 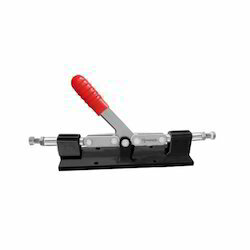 Chamunda's Package size straight line action clamp has a large holding for its size and well adapted for use in combined areas because of its small package size and low height. 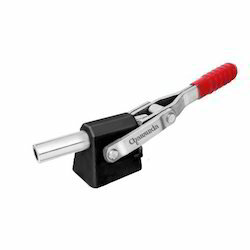 Chamunda's Straight Line Action clamp is designed extremely compact for its large capacity. The low height clamp is very useful what overhead clearance is problem plunger moves forward and loc k s as Handle i s model forward. 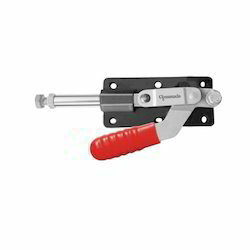 Clamp locks in either extended or retracted position plunger retracts and locks as handle is moved backward. The Holding Capacity is from 90 kgs to 3700 kgs. 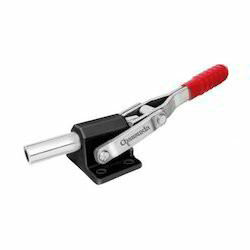 Chamuudas FM Series Retractable locators, these models mount directly through member by a jam nut on the work side or flush by drilling and tapping the member. 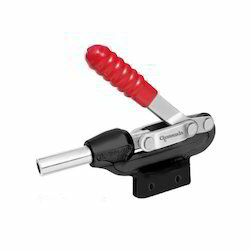 Plunger locks in extended or retracted position. 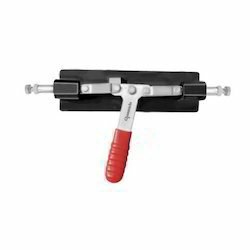 This Clamp supplied with hex nut. TC-3FM and 4FM Retractable Locators, these models mount directly through member by a jam nut on the work side or flush by drilling and tapping the member. 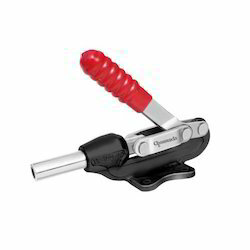 Plunger locks in extended or retracted position. 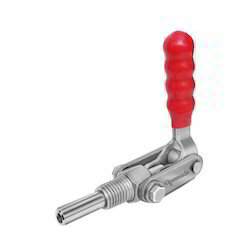 This Clamp supplied with hex nut. Looking for TC-FH Series Illustrated ?